Early this year, MUJI announced a worldwide recall of its bottled water products after detecting excessive bromate contaminant, a disinfection by-product (DBP) generated during ozone disinfection. Although the products mentioned in the recall notice have never entered Chinese mainland, the news was quickly spread on social media Weibo and aroused much widespread concern over drinking water safety, whose market penetration of water purifier/disinfector is only about 20% and household water purifier market will keep a growth of over 10% until 2022. 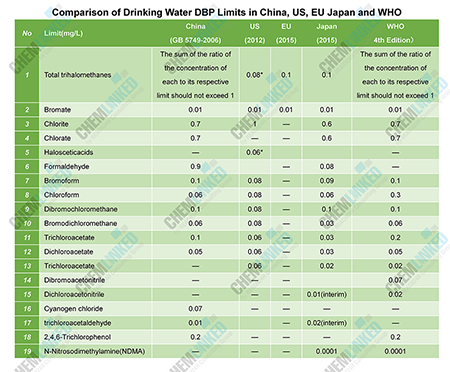 This article explains how the drinking water disinfectants and DBPs are regulated in China and the latest regulatory developments in drinking water quality standard, the GB 5749, which is closely related to the premarket approval of drinking water-related products. The drinking water regulatory system stems from the “Law on the Prevention and Treatment of Infectious Disease” and the “Administrative Measures for the Sanitation Supervision on Domestic Drinking Water”. The production and marketing of drinking-water treatment/disinfection/delivery devices, chemical agents and protection materials should obtain the hygienic approval from health administrative departments at national or provincial level. 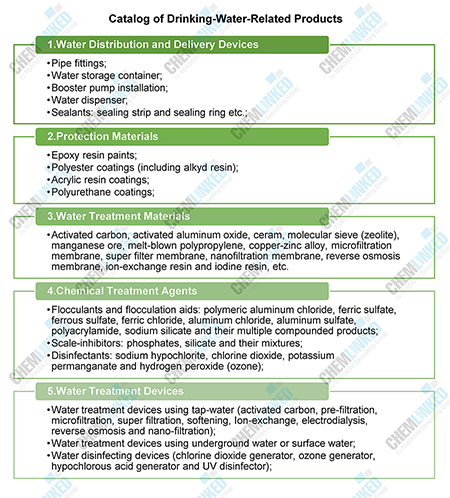 Drinking-water-related products can be classified into existing products and new products by the “Criteria for determining water-related products using new material, new technology and new substances”, which specified the names and use scopes of 90 existing substances and treatment technologies and water-related products using these substances and technologies are approved by provincial departments. In some provinces, the review on homemade material and tubes is further delegated to city department. If there is no overseas limit referable, a staged toxicological evaluation procedure will be proceeded to develop the maximum allowable level in drinking water and the increment of the substance (before and after disinfection) should not exceed 10% of the maximum allowable level developed. The more the harmful substance present in drinking water, the more complicated the toxicological test will be required, ranging from in-vitro test to chronic animal test. 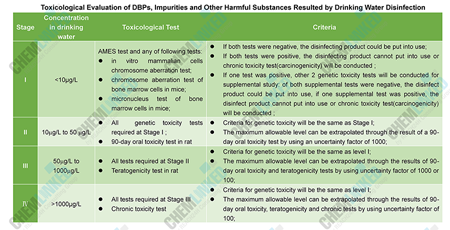 In addition to the DBPs, impurities and other harmful substances that have a direct correlation with disinfectant, the increment (before and after being treated with maximum dose) of metal ions, inorganic substances and organic substances should not exceed the limit prescribed by the drinking water quality standard. China has a complex water environment and the living habits and dietary structure are distinct, but GB 5749-2006 was mainly based on citation of overseas quality standards such as Japan, the US, the EU and WHO guideline and the selection of quality indicators is often disconnected from the pollution characteristic in China. For example, N-Nitrosodimethylamine(NDMA) is not included in GB 5749-2006, but in Yangtze River Delta region, the detectable concentration can be as high as 27 ng/L and the detection rates of Nitrosamines (homologs of NDMA ) were 33% in waterworks and 41% in tap-water respectively, almost three times the numbers in the US. China realized the limitation of GB5749-2006 and government-supported researches were launched in recent years. In 2017, China MEP (now known as the MEE) issued an environmental standard, the “Technical Guideline for Deriving Water Quality Criteria for the Protection of Human Health”. Lessoned from the “Ambient Water Quality Criteria for the Protection of Human Health” compiled by the US EPA, the guideline standardize the data collection, selection of methodology and parameters, as well as offer scientific basis and basic data for the next amendment to GB 5749. On 6 Dec 2017, NHFPC (now known as the NHC) released plan on the amending and developing of hygienic standard for and GB 5749 was included. 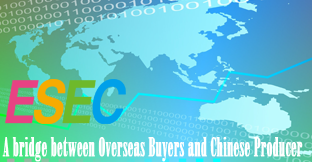 China CDC was designated as the initiator/organizer of the amendment .On an internal workshop of core exports held in 2018, CDC urged co-authors to complete the revised drafted by the end of 2019. To access the expert article, you need to Subscribe Standard/Corporate membership. Click here to upgrade your membership today. Or apply our 14-Day Free Trial. 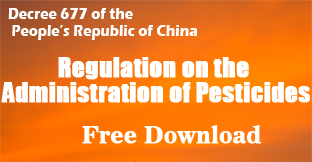 ChemLinked Agrochemical Portal is an online platform powered by Agrochemical & Material Division of REACH24H, who brings you professional compliance solution for the market-entry (registration) of pesticides, fertilizers and biocides in China, EU, US and other regions. ChemLinked is based in China, our office hour is 9:00 - 17:30 GMT+8 Beijing time. Your account login in other places.